While Southeast Alaskan aviation is generally safe and efficient, the sheer number of planes in the area means there are the occasional accidents. Local preference for paint schemes on aircraft runs towards bright colors “so the search party can find it”. (Bright bottom paint is also popular on boats, so you can be found in case you wind up capsized). Here is a crashed plane that I visited when I was 5 (I’m in the little blue suit!) The damage looks severe, but everyone walked away. This is a Cessna 206 which was bringing a party of hunters back to Juneau, the pieces were later pulled out by a helicopter. 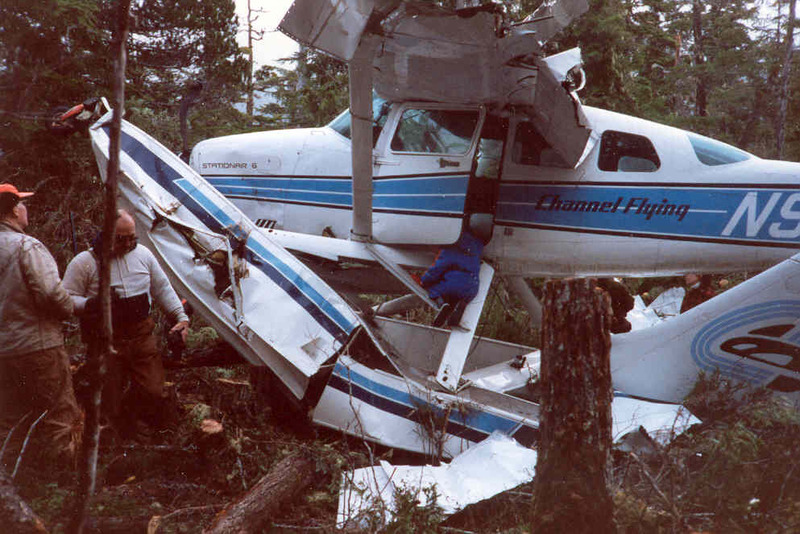 11/30/1987: Cessna 206 belonging to Channel Flying took off with tailwind and was pushed into trees by downdraft. No injuries (this is the one I have pictures of). 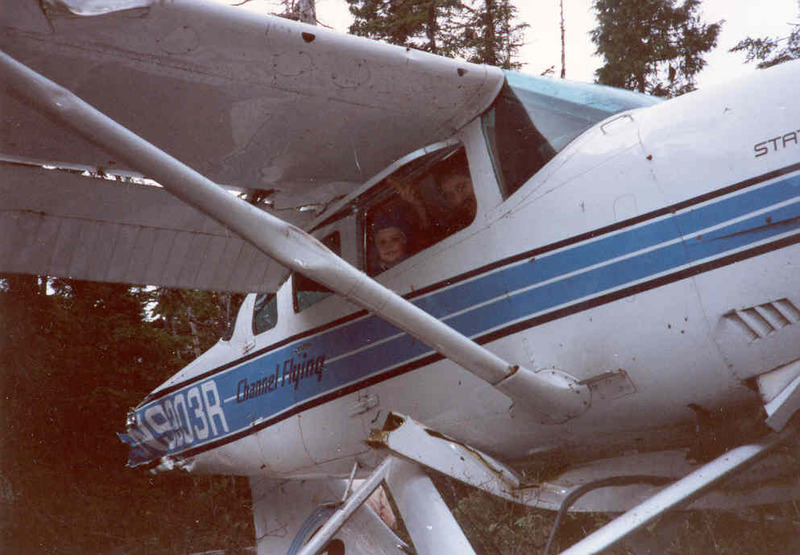 8/6/1992: Cessna 207 operated by Alaska Juneau Aeronautics crashed in Funter Pass. Pilot turned to avoid cloud and hit mountain. 2 serious injuries. This entry was posted on Friday, November 22nd, 2013 at 6:01 pm and is filed under Alaska History, Funter Bay History. You can follow any responses to this entry through the RSS 2.0 feed. You can leave a response, or trackback from your own site.